I'm going to give a mean review to Biscoff European Cookie Spread, so if you love it, don't read this. I hate to be mean, and I don't like to say I don't like products; but I don't like this product. I had heard rumors of this "cookie" spread, and, when I saw it in Costco, I was tempted. As I was standing there, pondering the spread, an attractive older gentleman said, "Oh, my wife loves that! I mix it with peanut butter and put it on her toast." I bought it, but, honestly, it doesn't seem to have any redeeming value. It's not as good as a cookie; it's not self contained, you have to spread it on something. If I'm eating something directly out of a jar, I want it to be Nutella. I thought I could figure out a recipe, but I haven't. If you have a recipe, please link in the comments, I have a large jar of this and would like to figure out a good use. 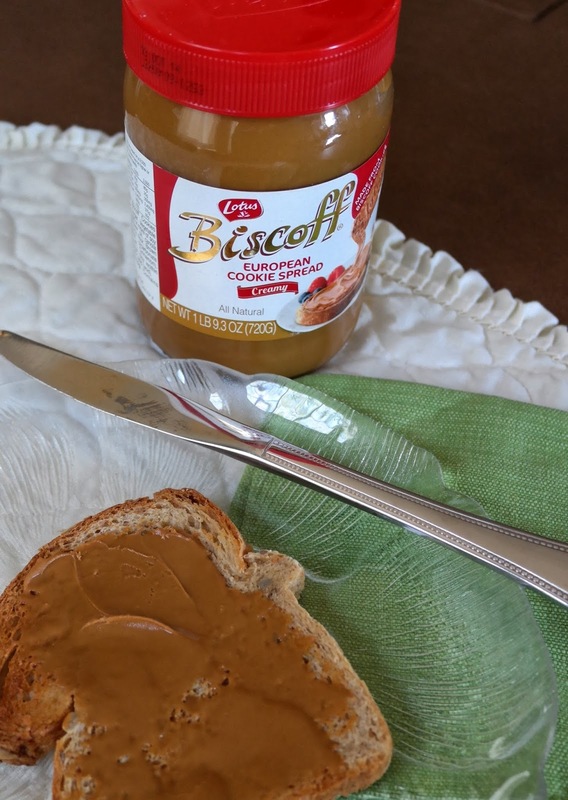 The Biscoff spread is not as healthy as a nut butter, although close to Nutella in nutritional content. Here's a comparison. In each case, the serving size is 2 tablespoons. Because of the differences in protein and carbohydrates, I'm going to choose almond butter for breakfast. For sinful eating, I'm going to choose Nutella. Some people love Biscoff European Cookie Spread. If you think it might be you, start with a small jar from the grocery store.